Private and small group volleyball specific workouts. Athletes who do our tailored training plan will jump higher, minimize injury, be quicker, stronger and more powerful mobile athletes. Wanting to focus more on individual needs or rehab injuries? During the 1-on-1 sessions the trainer can target areas of weakness and also develop an injury prevention regimen. Looking for a competitive training session with a teammate, sibling or friend? Please pair yourself up with a partner and book the same trainer and time together! Small group sessions with 1-8 athletes per class. Group classes are competitive and high energy, focusing on strength, agility, jump mechanics, injury prevention and conditioning. Tailored plyometric program for volleyball athletes to increase vertical power, lateral agility and quickness. 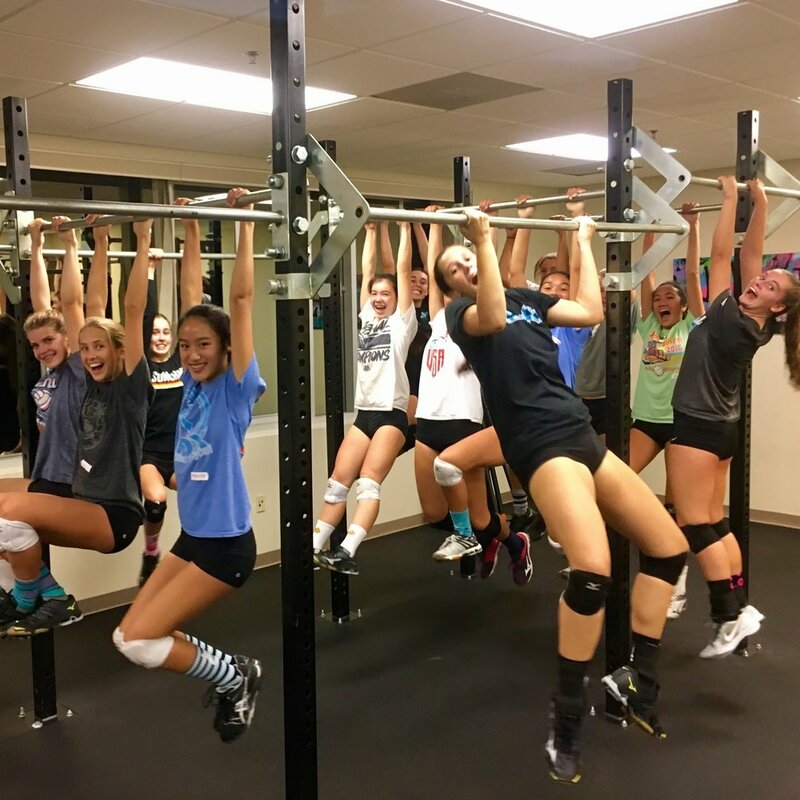 We combine polymeric exercises with proper strength, flexibility, core, and agility workouts to build a superior all-around volleyball athlete. Looking for more information on programs or pricing options offered at VIBE? Please fill out the form below and we will contact your shortly!